It was a truly inspirational moment. 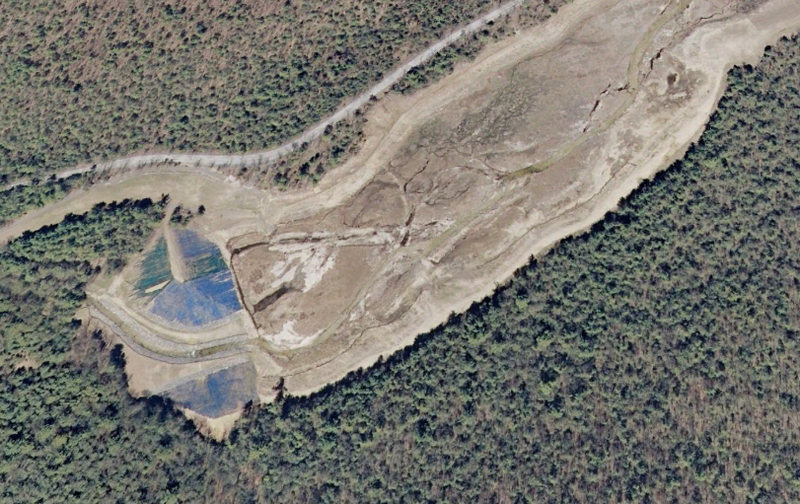 From the top of that 65-ft mound, peaking between a pair of middle-aged black locusts, I could see the entire one-mile length of the former reservoir—now a lush, green valley with a crystal-clear trout stream bubbling through it. Just over a decade ago that valley was the muddy bottom of a lake behind a leaky dam wall. 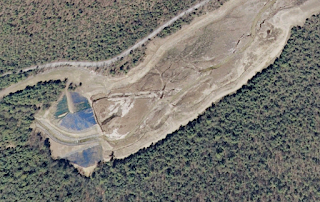 Then after the dam's decommission it was merely a sand pit with a drainage ditch, 53 acres of nothing much. Now, with the help of a patchwork of initiatives and organizations, it is revolving back to a forest, a stream, and a functioning ecosystem. It was my first visit to a large-scale restoration site. I could hardly contain my excitement, scrambling down the blue netting of one wall segment and up the other. A year of books and articles and videos offered less inspiration and understanding that than single afternoon atop the former Birch Run Dam. That moment reaffirmed for me that I was on that right path; that humankind could positively affect biodiversity, nutrient availability, and other criteria for ecosystem health; that there is a science that directly serves Mother Nature: Restoration Ecology. 1934 – Birch Run Dam built. Private contractors completed the 700-ft wide, 65-foot high earthen wall. The resulting Chambersburg Reservoir, named for the nearby town it supplied, could hold up to 337 million gallons from its 14.7 square-mile watershed. 1980's – Structural concerns. DEP begins monitoring seepage. Primary concerns were public safety and infrastructure. 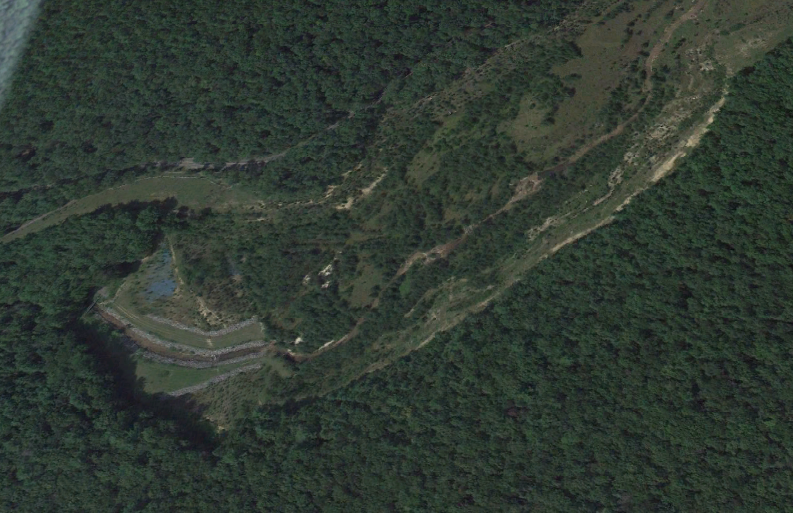 By 2002, Birch Run Dam was number one in the PA DEP's list of dams to be removed. 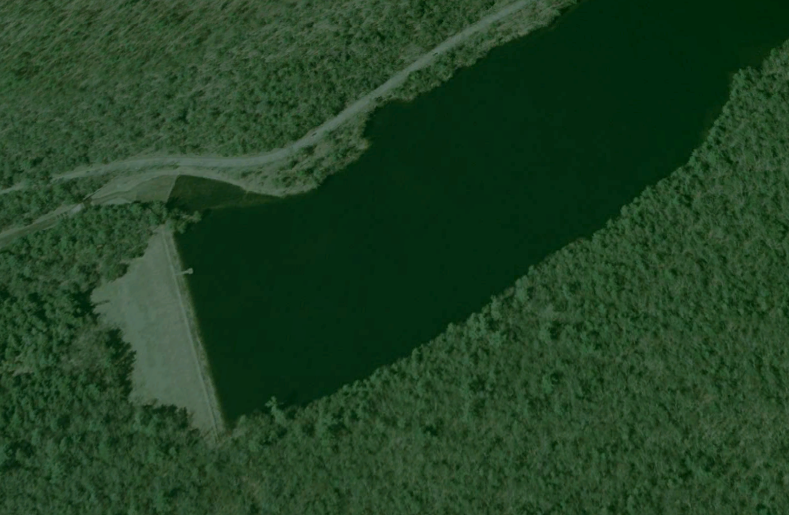 2004 – Reservoir drained. However, heavy rainfall still filled behind the dam, even with drains open, as was the case with Hurricane Ivan in September of 2004. Water levels drasitically rose and fell during storms and droughts, throughout the reservoir's 70-year lifespan. This "sloshing" caused erosion of the shoreline. Reintroducing native trout to the Conococheague Creek was the objective of a second work phase (2013-2014). Gleim won another contract, this time to build log jams, cross vanes and J-hooks. Twenty-three in total, the mini-waterfalls of these structures help oxigenate water and form deep, cool spots for trout. Streamside trees were also planted to shade waters. Trees also provide habitat for insects, which in turn provide food for trout. and habitat along Conococheague Creek. Closely related to both above objectives is establishing trees. The second phase was in 2013-14, led by local chapters of Trout Unlimited. The remaining northern half was planted with sycamore, speckled alder and tulip poplar along the stream, and red oaks and white spruce on drier ground. Roy Brubaker, Private Correspondence. July 28, 2015. I enjoyed reading the above paragraph and beautiful places.